Wheelhouse CQ 116 Coriander Quilts. Quilt Size 60 inches x 72 inches. Wheelhouse is wonderful in prints and in solids. 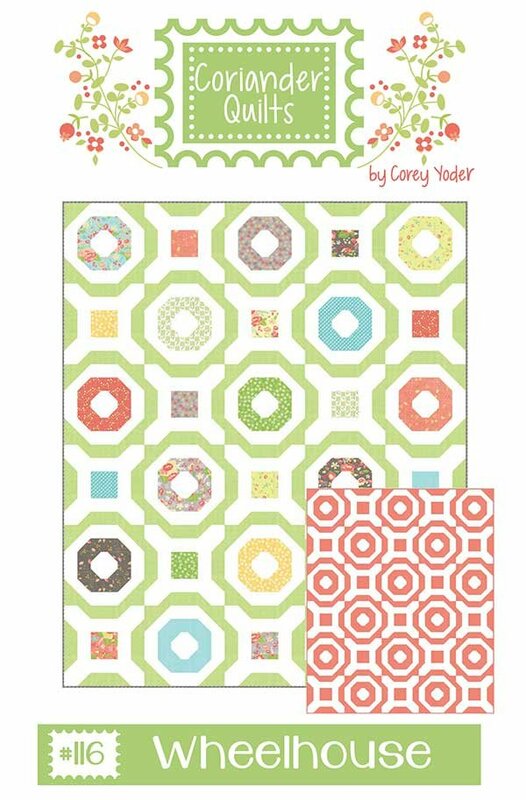 Fabrics on the cover are by Cory Yoder for Moda Fabrics.